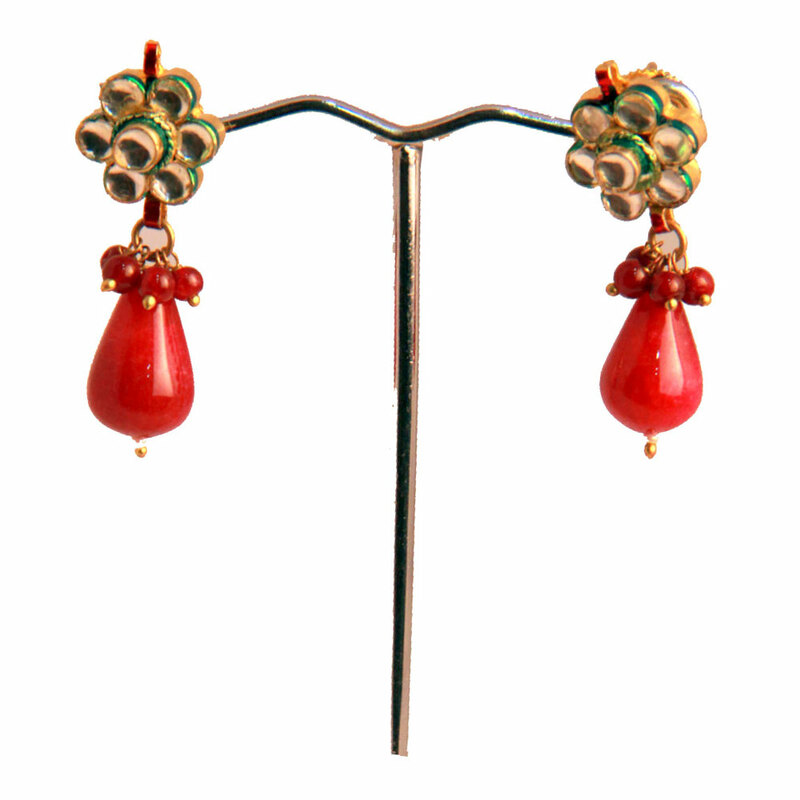 The appealing look of this glorious try of kundan earrings comes from the little red beads that square measure hanging at the various levels of their style. The appealing look of this magnificent pair of kundan earrings comes from the small red beads that are hanging at the different levels of their Read More..design. The white and green beads and add to the glitter of the pair while the green teardrop hangings placed at the end are simply awesome. Show Less..